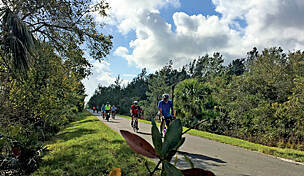 The Ponce Inlet Trail stretches down Florida's eastern seashore from the southern outskirts of Daytona Beach to the small coastal town of Ponce Inlet. 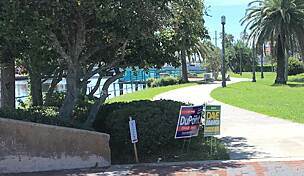 The trail begins at Major Street and follows S. Atlantic Avenue through neighborhoods dotted with palm trees and swimming pools. 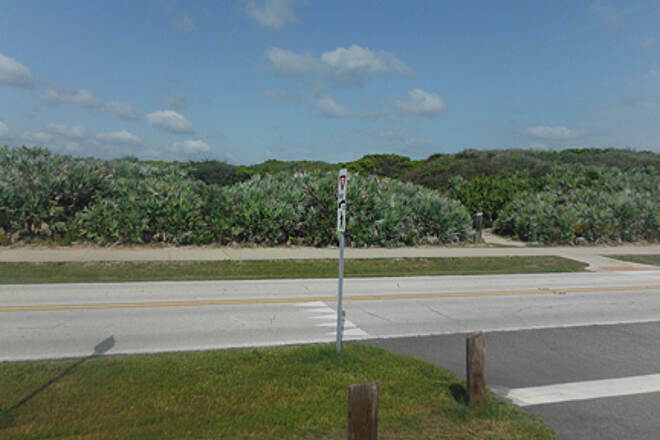 After a half-mile, you'll enter the town's largest park, Ponce Preserve, which offers ocean dunes, wetlands and stands of palmettos and other trees. 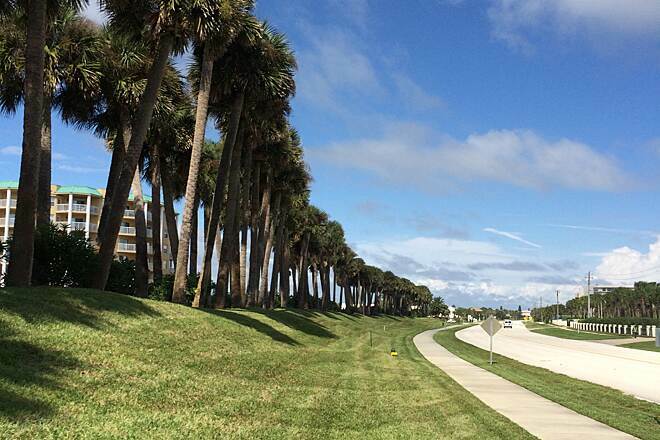 A mile further south is Winterhaven Park, a quiet beach with a boardwalk and picnic areas. 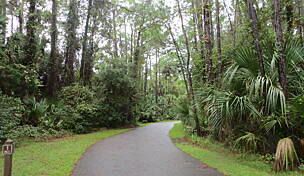 At Lighthouse Drive, the trail turns southwest with densely packed foliage along either side. 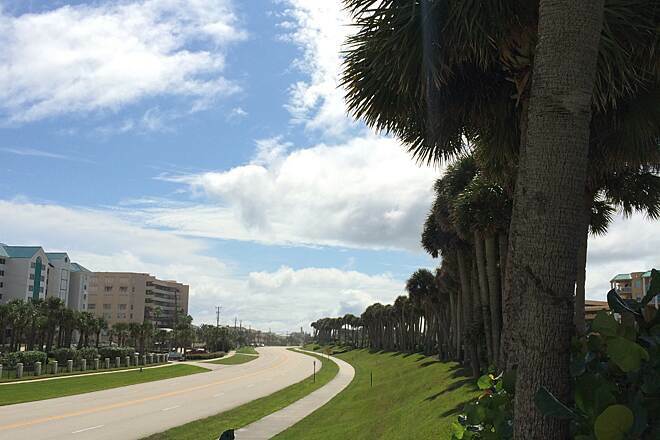 This is Lighthouse Point Park, a 52-acre area offering a treasure trove of recreational opportunities. Here, you'll find places to swim, fish and picnic, as well as nature trails and an observation deck and tower. The park's Marine Science Center features educational programming on sea turtles and the Mary Keller Seabird Rehabilitation Sanctuary, which has treated thousands of sick birds, also offers learning opportunities. 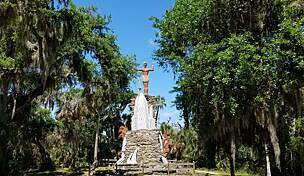 Another highlight of your journey will be the Ponce De Leon Inlet Lighthouse and Museum, just west of the trail's end on S. Peninsula Drive. At 175 feet, it is Florida's tallest lighthouse and one of only 10 lighthouses in the US that is designated a National Historic Landmark. 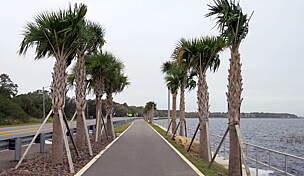 Parking and restrooms can be found near the northern end of the trail at Ponce Preserve (4400 S. Atlantic Drive) and Winterhaven Park (4589 S. Atlantic Avenue). 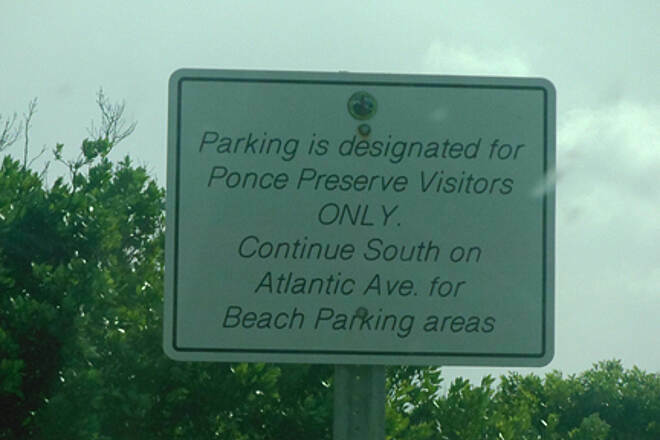 At the southern end of the trail, you can park at Lighthouse Point Park (5000 S. Atlantic Avenue), but note that there is a nominal vehicle admission charge to enter the park. 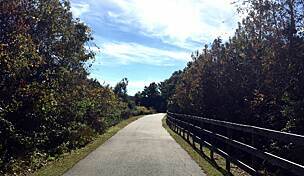 Agree w/other reviews, not really a trail but we enjoyed a laid back ride, exploring this beautiful community. Mostly wide sidewalks (2 bikes pass). You can /should explore what's down there, and you can explore the back streets as there is little traffic. Fun restaurants, Pobce Historic Nuseum, and the Liggt House. I visited this trail with the intent to skate it. I didn't even know it was there until I found it here on Traillink. Here is my look at this trail and I will post some photos later today. This is a locals trail for sure. Why do I say that? Well, the lack of available parking and facilities. I carry my equipment in my company vehicle so I can grab some skate time when I can. This requires a facility to change in and suit up skates and safety equipment. My first passage by Ponce Preserve I totally missed it. I was scratching my head because my GPS said I was there. 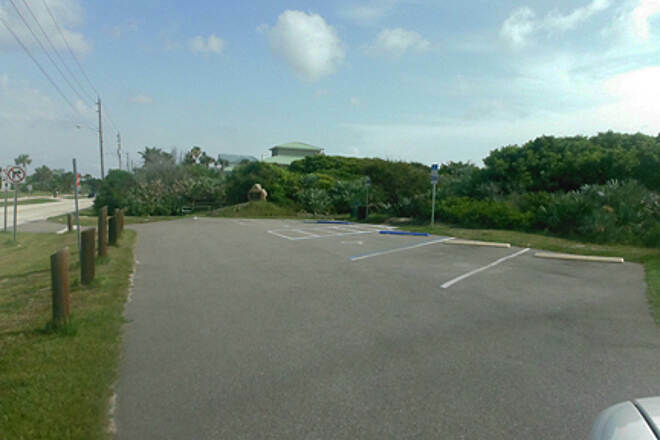 Come to find out, the park is on the west side of Atlantic and the parking area (all 5 spaces) is on the east side of Atlantic. There was no usable facilities for me to change at. Winter Haven Park wasn't much better. It was a parking area for the beach. 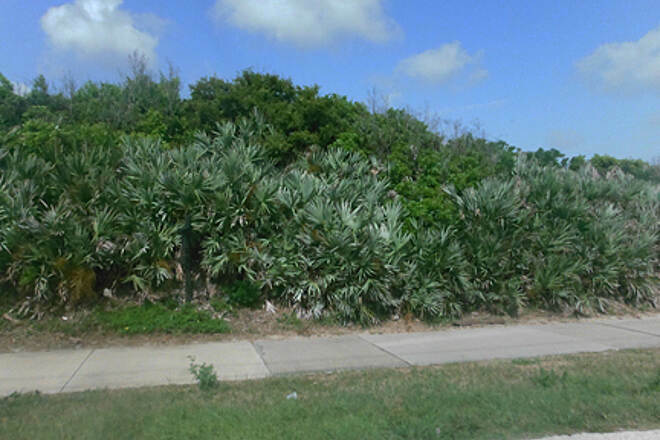 The only location with changing facilities is Lighthouse Point Park which has a $5 entry fee. Scratch skating on this trip for me. I call this review "Not Really A Trail" because it is basically a slightly wider sidewalk than normal. It is wide enough for two bicycles to pass each other. 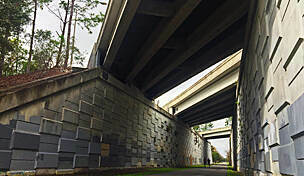 As is the case with any sidewalk, it is cement with the undulations that typically come with the unforgiving nature of cement. Cleanliness was way above average for a sidewalk though. As I drove the length of the trail I saw only one spot where sand had gathered at an intersection that would present any problem at all for inline skaters. 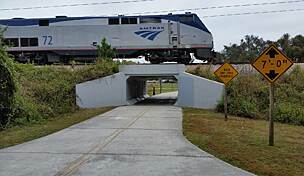 Being a sidewalk, this is not the trail for serious training on either bicycles or inline skates. 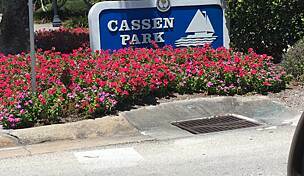 The reason for this is both the undulations which will present balance issues for skaters at speed and bicycle launching as well as the driveway crossings. It would work well for very recreational participation in those sports though and local traffic. Runners are in luck though and there were lots of them on this trail! Odds are though with the complete lack of parking they were locals. 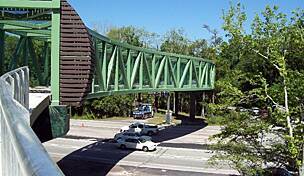 My grades on this trail are Cycling: D due to lack of parking, cement undulations and driveway crossing,. Inline Skating: D- for all the same reasons which is more pronounced for skaters than cyclists and Running: A. 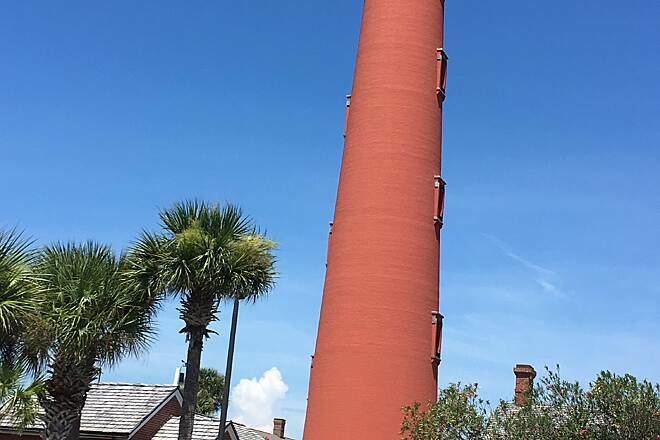 If you are visiting the area and want to pay a visit to the Ponce Inlet Lighthouse I HIGHLY recommend it. 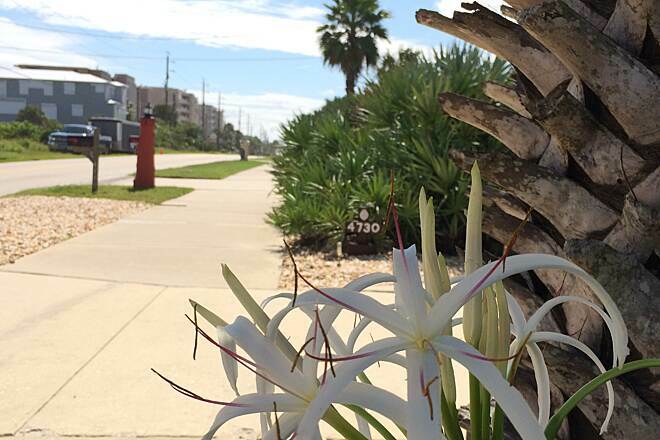 While there, fit in a casual ride down this trail to the Ponce Inlet City Hall. 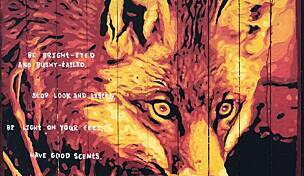 You will find it relaxing and enjoyable. Just be sure to bring water (no cover) and use the facilities before you leave for your little tour. I did take a few photos to put it in perspective and will post them up shortly. I noticed there were none for this trail and thought it would be nice to have a few. 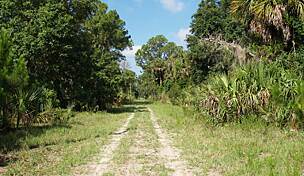 I would like to hit this trail but it will be on my mountain bike while I am in the area, not my inline skates.